After the 1960s, measuring instruments began to develop in the direction of precision, miniaturization, in order to improve the accuracy of differential pressure meters, force balance differential pressure transmitters and capacitive differential pressure transmitters appeared; The underwater ultrasonic flowmeter transducer is miniaturized and the signal-to-noise ratio is improved. 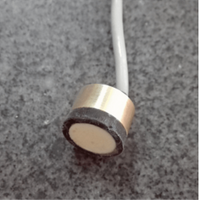 An electromagnetic liquid flow sensor using a non-uniform magnetic field and a low-frequency excitation method has been widely used. The transducer for gas meter has the characteristics of small pressure loss,it has large measuring range and high precision. It is almost unaffected by parameters such as fluid density, pressure, temperature and viscosity when measuring the volume flow rate. Moreover, the gas flow sensor has no movable mechanical parts, so the reliability is high and the maintenance amount is small. Ultrasonic gas flowmeter transducer uses the principle of thermal diffusion to measure the flow of gas. 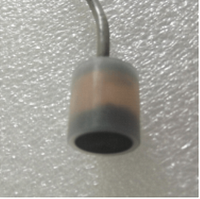 The gas flow sensor sensor consists of two reference stage thermal resistances (RTDs). One is the speed sensor RH and the other is a temperature sensor RMG that measures the temperature change of the gas. When the two RTDs are placed in the gas to be measured, wherein the gas flow sensor RH is heated, the other gas flow sensor sensor RMG is used to sense the temperature of the gas to be measured. As the gas flow rate increases, the gas stream carries more heat and the temperature of the sensor RH drops. The gas flow sensor has determined mathematical relationship between the heating power P ,the temperature difference ΔT (TRH-TRMG) and the mass flow rate Q according to the law of heating. P/△T=K1+K2 f(Q)K3 K1, K2, K3,which constants are related to the physical properties of the gas. The unique temperature difference measurement method is generated by the gas flow sensor,it overcomes the gas flow sensor using the principle of constant temperature. Because of the large zero drift caused by water, oil and impurities in the gas when measuring the gas flow, the disadvantage of being unmeasurable is caused. The gas flow sensor can also be used to measure the mass flow of wet gas, such as real-time detection of gas volume (speed) in the gas drainage and air supply in the mine. When gas flow sensor is measuring liquid, make sure that the gas flow sensor is completely filled with the medium at all times without entrained gas. Providing sufficient pipe sections upstream and downstream of the gas flow sensor ensures a non-curved symmetrical profile. Install the valve as far as possible downstream of the gas flow sensor. 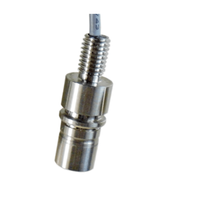 Vertically installing gas flow sensors are generally preferred, and fluids moving upstream ensure that the 200KHz gas flow sensor is always full and the solid components in the medium are evenly distributed. If the gas flow sensor is likely to generate bubbles, a gas separator should be provided. When installing of long pipelines that are prone to vibrate, install a eliminator upstream and downstream of the gas flow sensor. For steam applications, the gas flow sensor should be installed in the bottom of the U-bend to avoid the water hammer caused by the absorption of condensation. 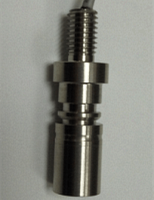 The strength of the water hammer causes the sensing mechanism to be over-stressed, resulting in a permanent gas flow sensor. Gas flow sensors are widely used, but flow measurement of vapor medium fluids in industrial pipelines is common.